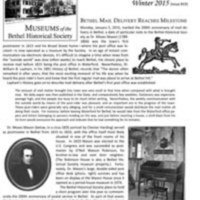 The Broad Street Herald was the newsletter of the Bethel Historical Society from summer 2008 to spring 2015. 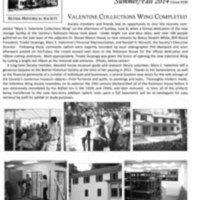 It was printed alongside our longstanding publication The Courier, which during that period was overhauled into the Society's history journal. 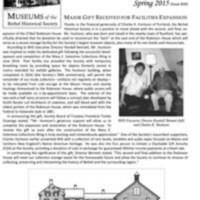 In summer/fall 2015, The Courier was converted back into the Society's newsletter and The Broad Street Herald ceased publication. In total, 20 issues of The Broad Street Herald were published.